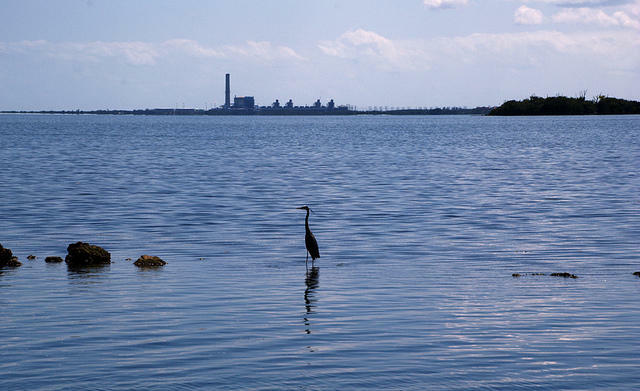 A view of Turkey Point Nuclear Plant from Biscayne National Park. That was the general sentiment among the public commentators. 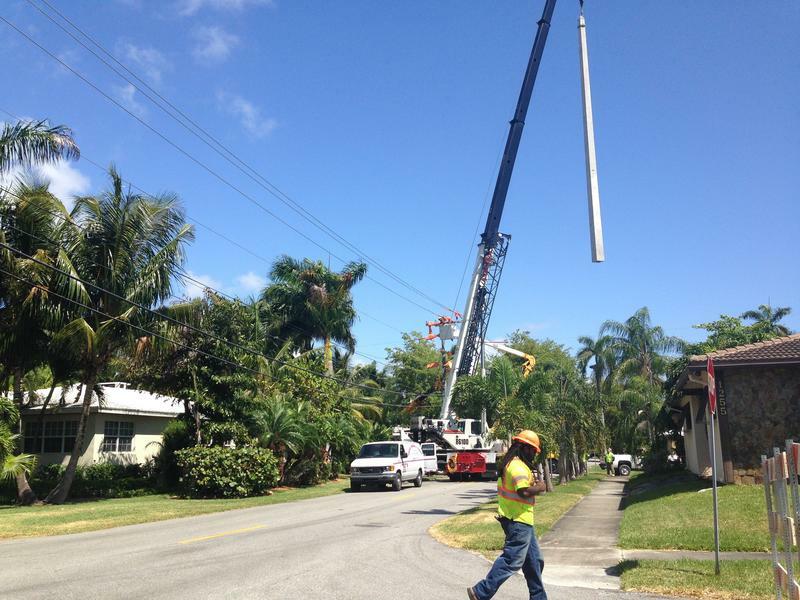 FPL says it has taken precautions and is prepared for climate change. “The plant is built a certain elevation above sea level to ensure that even in the worst postulated natural disaster that any kind of wave rushing on shore would not impact all the safety equipment,” said Devin Caraza, a reactor operator at Turkey Point. 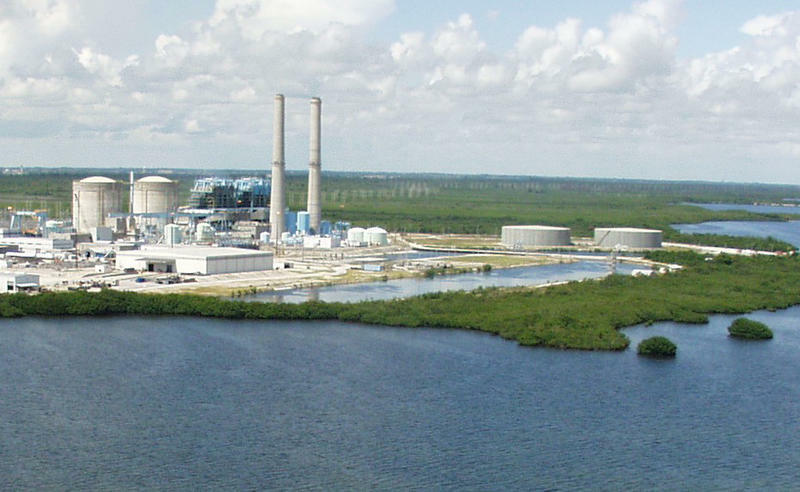 FPL drafted an environmental impact statement for its plans to build the power reactors. 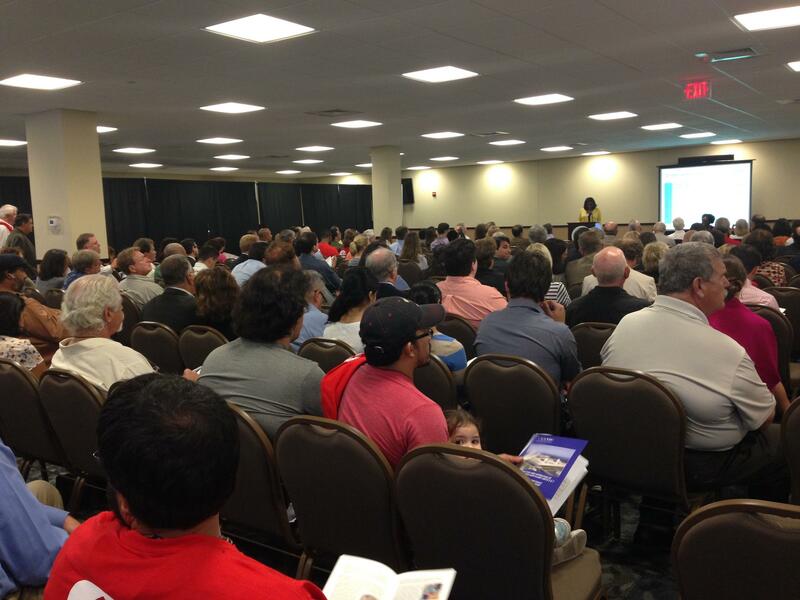 The crowd at Florida International University's stadium club during the Turkey Point Nuclear Plant public meeting. The Nuclear Regulatory Commission is in charge of approving the statement. South Miami mayor and biologist Philip Stoddard cites 10 oversights in the report that don’t fully address the impacts of climate change. “My ideal outcome is that they find another place to build a nuclear plant certainly not here on a hurricane swept coastline between two national parks subject to sea level rise and storm surge,” Stoddard said. Stoddard plans to work with the commission to try and make that a possibility. The Nuclear Regulatory Commission says it plans to use the public comments to improve on the environmental impact report that was submitted by FPL. Construction on the reactors may begin as soon as 2016. For South Florida, climate change isn't part of some vague future; it's a reality today. 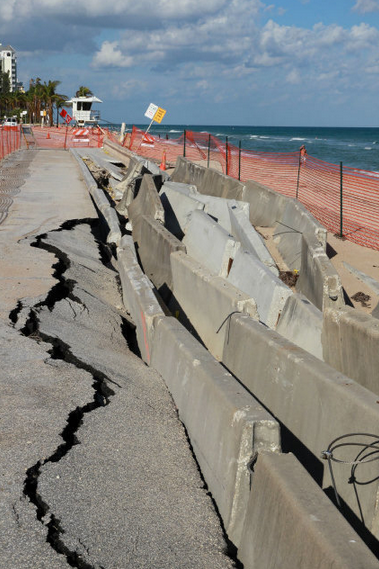 South Florida has seen nine inches of of sea-level rise since the 1920s. 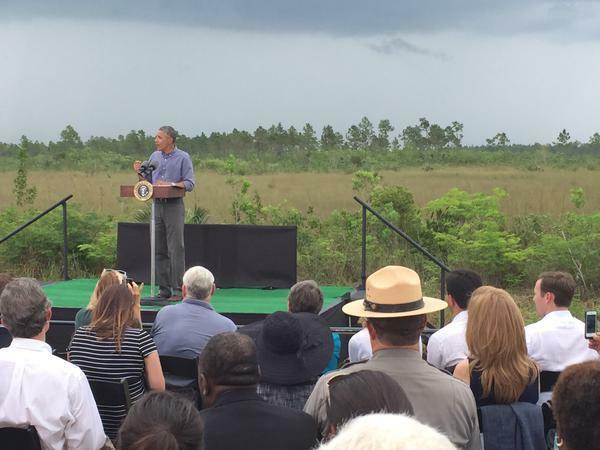 EVERGLADES--This was President Obama's first trip to the Everglades. In a speech that lasted about 15 minutes, the president reiterated his administration's stance on preserving fresh water and reducing carbon emissions. Seemingly in response to Florida Gov. Rick Scott's purported ban on the phrase "climate change," the president said, "(climate change) can't be edited out." Gov. Scott has denied any such ban exists.